Server Maintenance on March 28th. - <Institute Assistant> for unique eidolon quests has been permanently added to Navea. - "Cubic Power" Event has ended: the event panel won't be dropping anymore from STH Floor 44. It will drop a Nightmare Coin instead. - Addition of SLV5 acessories to <Mysterious Collector> Jack outside new Nightmare Revelation Dungeons. You will be able to exchange the new accessories directly from the NPC, with base stats that can be randomized, and using Nightmare Revelation and Panic Solo Dungeons Sigils for the exchange. - Addition of Seiryuu's 3rd Evolution Star Form. Remember your Seiryuu will have to be evolve to 3* to unlock this new model. - Changes to Current Monster Hunt: Server Goals. The amount of chests from STH Floor 40 has been reduced to 150. You still have this Saturday to complete the challenge! - Addition to the game "Golden Costume Weapons Restructuring Solutions". * This new item will allow you to randomize the fixed 2nd stat of Golden Costume Weapons with PVE and PVP stats. * The item will work with Hades Weapons, Sky Tower Weapons and Custom made Golden weapons with the Golden Weapon Conversion Scroll. * The item will not reroll the 3rd random stat from costume weapons. * In the case of PvP weapons, it will reroll among the available PVP stats. * The item will be non-tradeable and will bind the golden costume weapon after use. * The item will be available at the AP Store and the LP Store, but it will be quite pricey: Each reroll will cost 6.000 Loyalty Points and 1699 AP. * You will be able to find the item at our Hot Items Promotions this week for a promotional release price, and in our Adventurer Encyclopedia Rewards. Available for seven days, from March 28 until April 4. This might look as yet another asian table, but the items in it will surely get you excited! Eidolons, costumes, costume weapons and accessories with a majestic oriental vibe. - Diao Chan 3rd Star Form Costume Set. 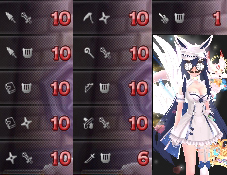 - Sakuya Hime Costume Set. - Iwanaga Hime and Sakuya Hime Accessories, Key Fragments and Keys of Gaia. - Lucky Asian Hammers and Sakura Books. - Tsukuyomi, Amaterasu, Seiryuu and Diao Chan Key Fragments. Our AP Store is getting cold and chilling on this special promotion. Andrea will finally make her debut in our Hot Items and freeze everything around her. She will be in the company of other chilling Gods: Ullr, Eirenne, and Christmas Tyr and Fenrir will share this crystal-ice promotion. Anna and Kristoff Costumes, Andrea Costume Sets and Weapons, and much more! Our Loyalty Store will see the debut of the most gorgeous butterfly of them all. 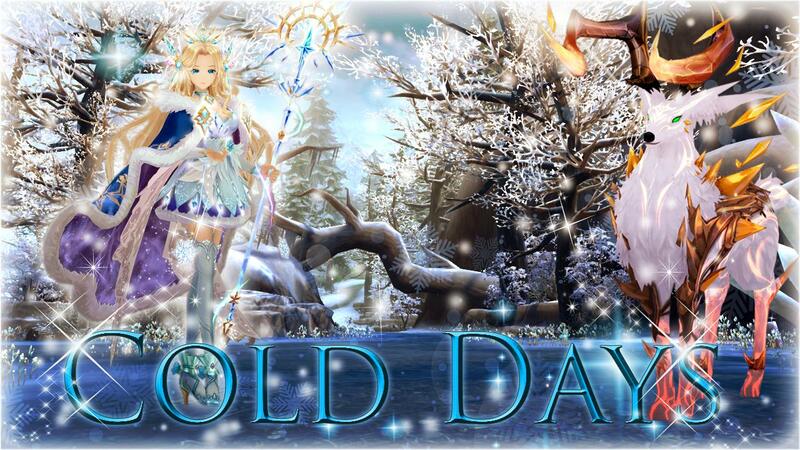 With Sif's Costume Set, Wings, Key of Gaia and fragments in our LP Store for one week, we will see a special promo filled with romantic, feminine and magic looking items. Demeter and Hebe will also join this special promotion with their Keys of Gaia, Fragments and Costumes. We will have wonderful costume sets, wings, and mounts to take a stroll around the forest. To celebrate the release of the new Golden Weapons Rerolls, both stores will be filled with amazing looking orange costume weapons, golden weapon conversion scrolls, and the new rerolls at a promotional limited price. Now you can really get your hands on the weapon of your dreams! Are you ready to meet your destiny? On this month's Bonus Mall we will meet yet another of the Nords, the sisters of Faith. And Verdandi's sister is more than excited to meet us! Urd is a gorgeous new eidolon and she will find her right time to debut in this game in April's Bonus Mall. She will come with great fashion, lovely costumes, and her promotional bags that are a neat deal! Promotions will be available for one week, from March 29th to April 5th. Bonus Mall will also update on March 29. Available for one month since April 1st. This month's Daily Login Rewards are inspired by all the content we will meet during April. Fortifications, exp and charms: everything you need to face the upcoming Holy Chest and the arrival of new maps and level cap. April's Adventurer Encyclopedia will see the debut of our new golden weapon rerolls: you will be able to obtain up to x6 of them by completing the encyclopedia once, and three non-tradeable costume weapons cards. Available since April 1st. A brand new month, a brand new challenge. You can check our New Monster Hunt Goals and Prizes for April on this thread. We are working to bring the new Holy Chest System to the game, and it will arrive pretty soon! So better work on those fortifications and prepare yourself for the new content. New Item Mall consumables rerolls will be also coming soon, so better to save some loyalty! Thank you Aura and Dev. So many gooddies thank you so much Aura for all the treats. "Golden Costume Weapons Restructuring Solutions"
Ayyyy I knew you'd come someday! Thank you Aura! Looking forward to all the pretty costumes I need to collect!